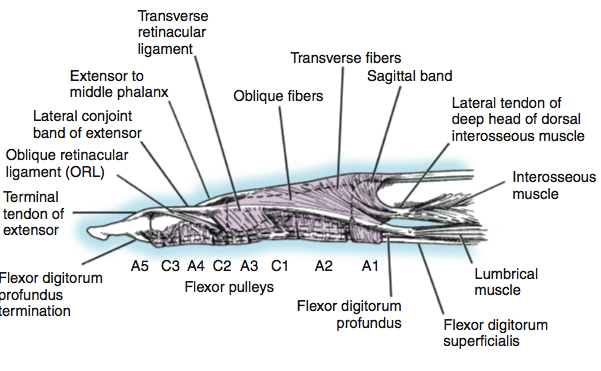 Fractures of the Fingers and Hand Handout | Dr. Thomas Trumble, M.D. 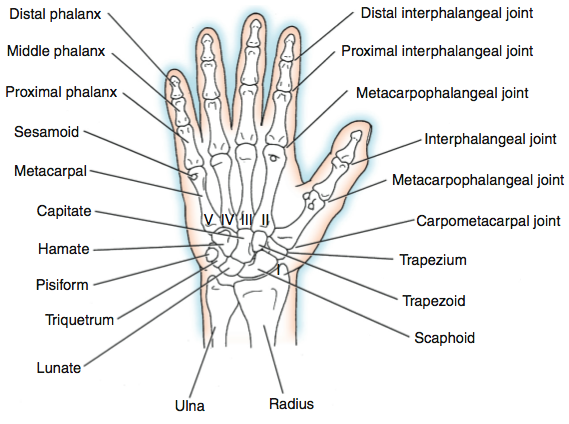 These are injuries that occur to the phalanges or metacarpals of the hand (Figure 1). These occur after injuries that can either result from sports, at home, or in the workplace. There is often pain and swelling. 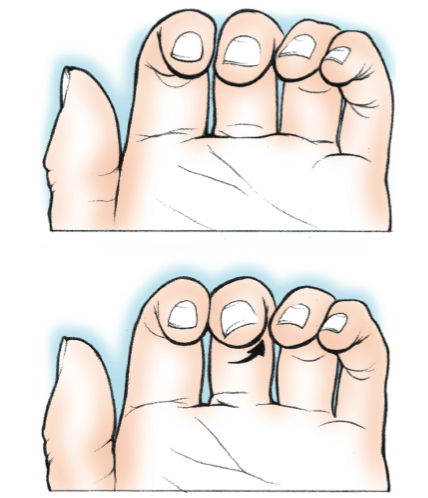 The patient can have some finger motion, despite the fracture. Therefore, the presence of finger motion does not exclude the possibility of a fracture. Patients should still consider having an x-ray taken when there is pain and swelling that persists for more than an hour after an injury, particularly with local tenderness. Clinically, local pain and tenderness is a key indication that x-rays need to be obtained. 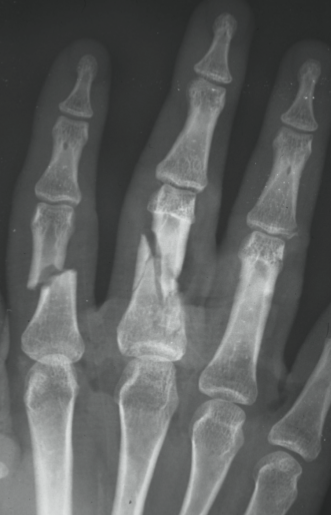 X-rays are very helpful in identifying the type and pattern of the fracture (Figure 3). Minimally displaced fractures can be treated in a brace or splint with therapy beginning as soon as the fracture demonstrates signs of stability on x-ray and clinical examination. These require open reduction and internal fixation. Small plates and screws are used to stabilize the fractures. The goal is to provide enough stability that patients can begin early range of motion exercises. One of the key problems is that the bones in the hand are surrounded on all sides by tendons (Figure 4). As a result, as the fracture heals, the healing fracture tissue called the callus often traps the tendon and prevents motion. Therapy with early motion of the tendons starts colliding and prevents the callus from trapping the tendon. The surgery can typically be performed as an outpatient surgery often under a general anesthetic. Braces and splints are used to protect the hand against excess force, but still allow range of motion with therapy. Six weeks are often required for substantially healing and when there has been comminuted fracture with loss of bone substance the time can be longer and x-rays have to be obtained to ensure that there has been bone healing. Typically, excellent range of motion can be obtained following the fractures. In many severe fractures, it is necessary to remove the implants with removal of plates and screws approximately a year after the injury and at that time additional scar tissue can be removed in order to improve hand motion.